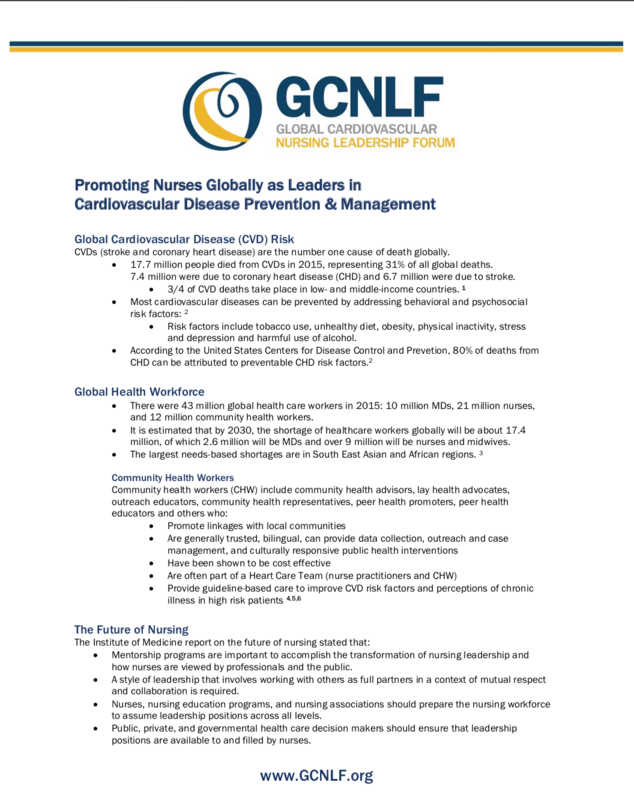 The GCNLF guidance document is designed to be used when talking with stakeholders, ministers of health, and CVD teams about the important role nurses can play in CVD prevention and management. It includes statements from leading health organizations and cites specific clinical studies that demonstrate that nurses involved in patient management have more success in meeting CVD prevention goals. The Guidance Document was developed and approved by the GCNFL partners but was designed to be translated or changed to include country-specific citations or statements. In other words, the Guidance Document is a template that can be adapted and utilized how an individual or organization sees fit. We hope you find it useful!